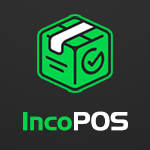 IncoPOS is a POS system created specifically for Windows, Linux, and Mac OS. It offers solutions for online ordering, enterprise reporting, loyalty program management, and more. There are only a few available IncoPOS Reviews online, but of the ones that we found, it has generally positive ratings. We also compared the most popular pricing options available. A reviewer from G2 Crowd said that IncoPOS has a seamless connection between his physical shops and web store, unlike other POS systems he’s tried before. He said that he’s able to easily track sales and product inventory with his smartphone. It’s really important for him to have quick and automatic synchronization between his locations due to his fast selling goods, and he said that IncoPOS gives him that. He also likes that the price is reasonable and that customer support is helpful. A reviewer from Capterra said that she didn’t like that the more sophisticated features come at an extra cost. On top of this, she didn’t appreciate that she also has to pay an extra amount for system customization. IncoPOS’ detailed pricing information is not readily available on the website. The company states that they have Free, Basic, Starter, and Pro plans. Licenses start at $39/month/workstation and can go up to $69/month/workstation. IncoCloud is included with IncoPOS for the first location, and starts at $39/month for each additional location. Check out the list below of some of IncoPOS’ features. The license key is valid for how many workstations? Purchased license keys can only be used on a single computer or workstation. Do prices listed include tax? Prices don’t include taxes. EU clients with valid VAT ID numbers won’t have VAT added. Can I purchase a license directly from the website? Yes. Your quoted pricing is attached to your account. You can purchase licenses directly once you are logged in. The video below is a short introduction to the IncoPOS system and how it can help users manage their stores better. Not sure if IncoPOS is the right fit for you? Read our reviews of all top POS software or check out one of these three IncoPOS competitors.